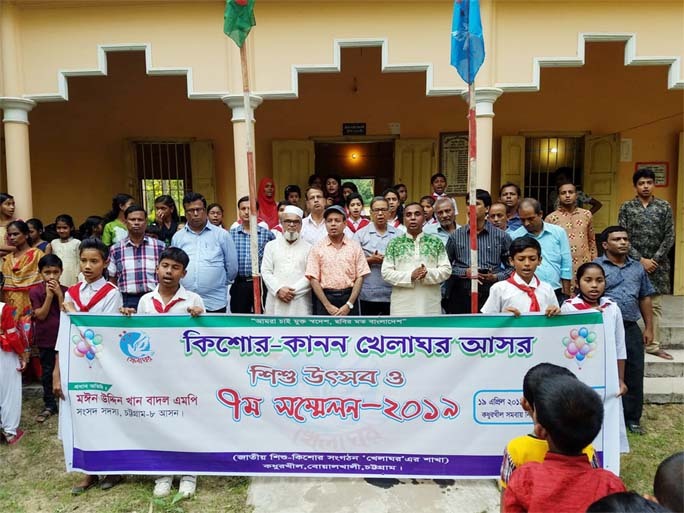 Haji Jahurul Alam Jasim, Councilor of Ward No-9 speaking at a discussion meeting on reproductive health at Bangabandhu High School in Chattogram as Chief Guest yesterday. 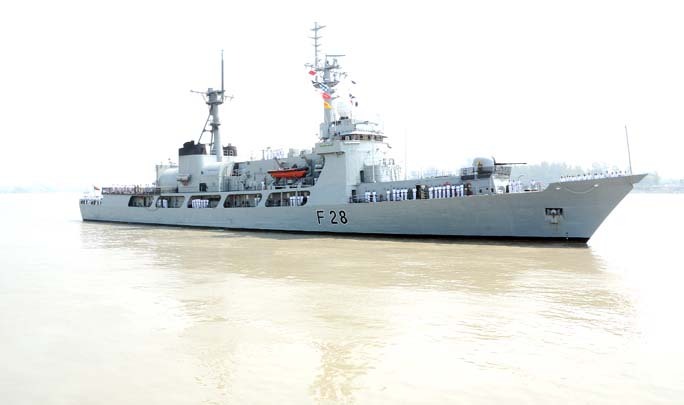 War ship Joy of Bangladesh Navy returned from Lankan International Maritime and Aerospace Exhibition at Malaysia yesterday. 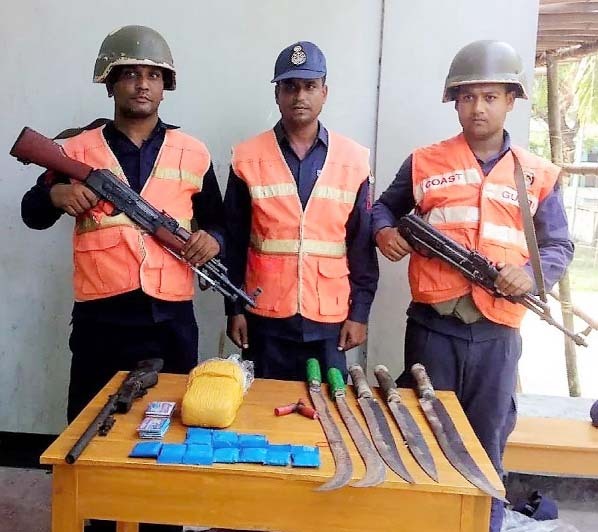 Members of Coast Guard recovered 10,000 pieces of Yaba tablets with huge local arms from Kutubdia on Friday. 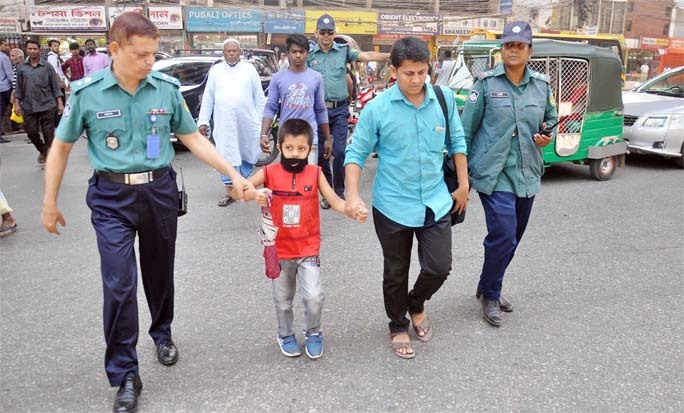 Harunur Rashid Hazari, DC Traffic helping pedestrians to cross the road during a special drive of CMP at GIC Crossing yesterday. 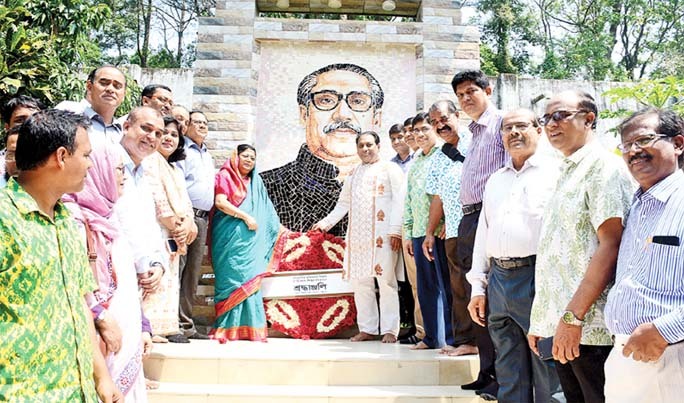 Prof Dr Iftekhar Uddin Chowdhury, VC and Prof Dr Shirin Akter , Pro-VC Chittagong University placing wreaths at the portrait of Father of the Nation Bangabandhu Sheikh Mujibur Rahman on the campus observing the historic Mujibnagar Day on Wednesday. 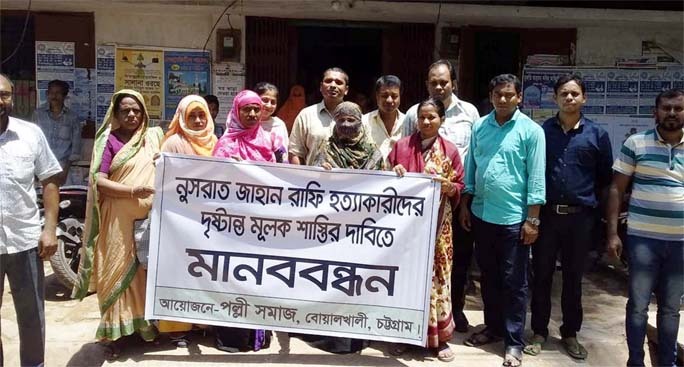 Palli Samaj , Boalkhali Unit formed a human chain on Thursday protesting killing of Nusrat Jahan Rafi, a madrasa student of Sonagazi.